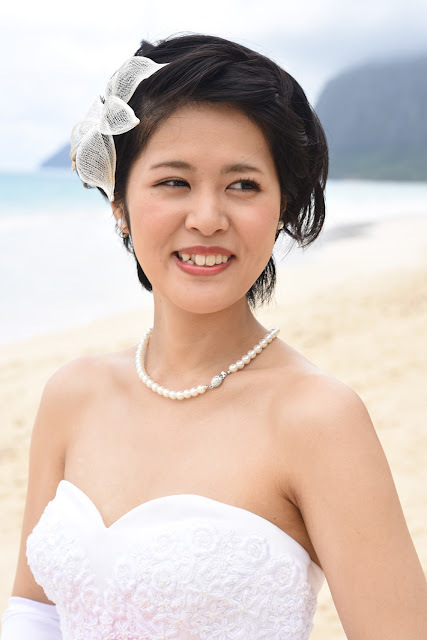 Stunning Japanese Bride Kazumi at Waimanalo Bay, East Oahu. 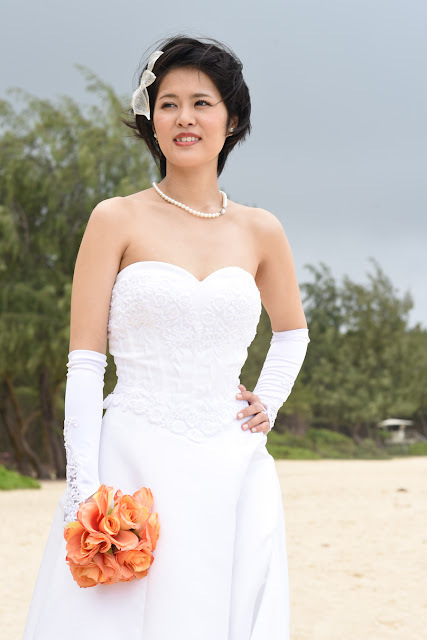 Stylish lace flower in the hair and flower pattern lace bridal gloves. 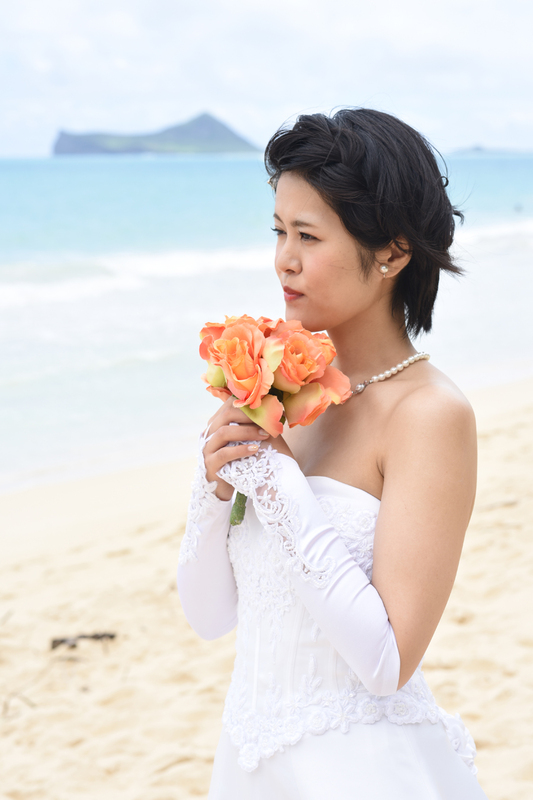 Love this bridal pose putting on the pearl earring!